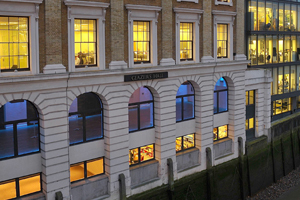 Glaziers Hall has won a contract to host the Good Farm Animal Welfare Awards later this month. The London venue, situated on the banks of the Thames, will pay host to more than 100 guests when the awards take place on Monday 28 November. The ceremony will be held in the Glazier Hall’s River Room and will be hosted by Green Assembly Member and former chair of London Food, Jenny Jones, and presented by TV chef, broadcaster and writer Allegra McEvedy MBE.